I may be one of the Amazon Kindle ‘s biggest fans. �Since I got mine as a father’s day gift I’ve been reading more than I have since college, and I recommend it to anyone who is in the market for an e-reader. 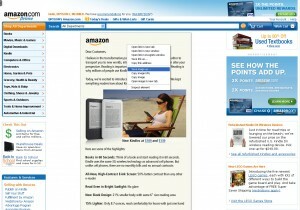 You may have heard that Amazon released a new mass market Kindle with wi-fi only last week. 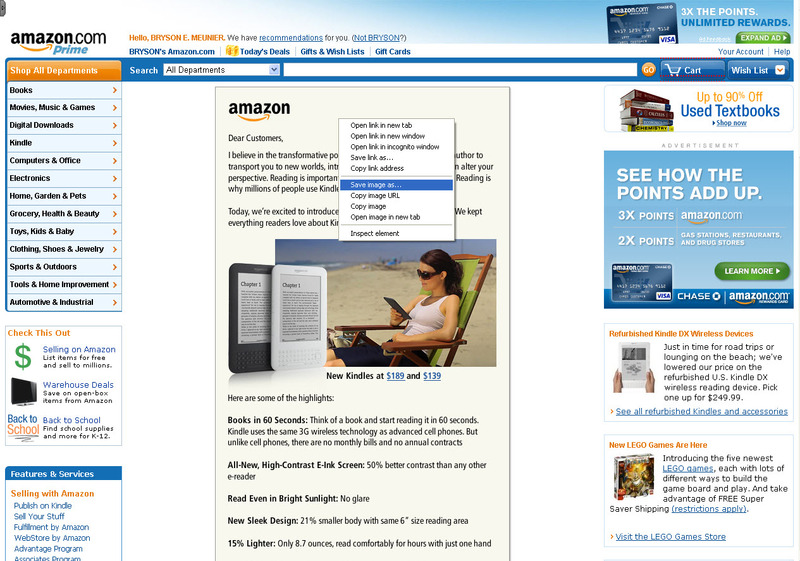 If you haven’t heard, there’s a message from Jeff Bezos on the Amazon homepage announcing it. Unfortunately for them it’s invisible to search engines and people with screen readers. 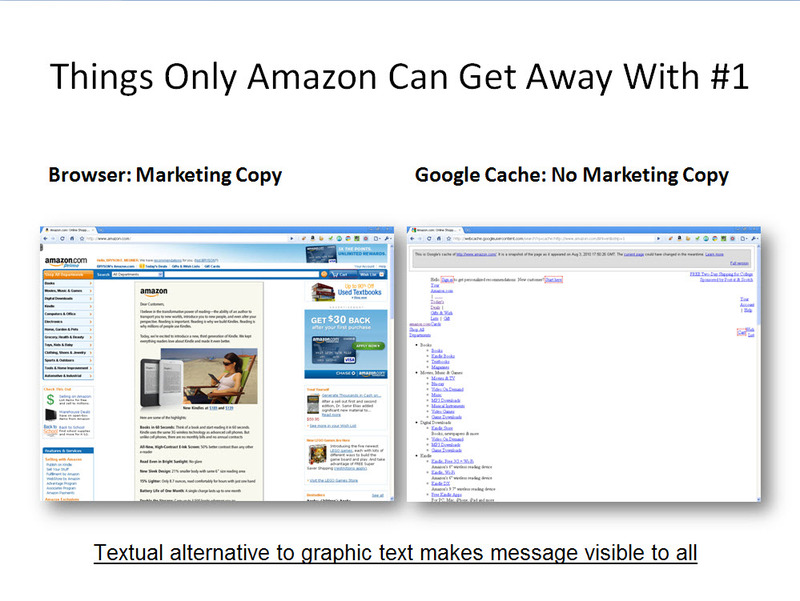 Amazon can probably get away with this because they’re Amazon. Most businesses are not Amazon. 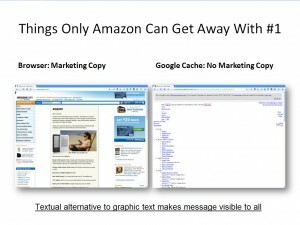 If you’re not Amazon, avoid putting text in images, and if you can’t avoid it, add alternative text. SEO 101, I know, but there are many Fortune 100 companies that apparently need a refresher. Check out the source code. The content is there (just displayed none) … not sure if it’s screen reader friendly … but the content is indexable. Thanks Eric. Wasn’t there when I checked the source code last week, or apparently even this morning when I checked the Google text cache and saw no indexed text. Apparently I wasn’t the first person to mention the omission to them, as there is alternate text now. Thanks for the tip. Leaving this up, as it’s still a problem I see all the time from many companies. Interesting find Bryson, although it has been fixed, I wanted to add, isn’t it interesting that some Fortune 100’s forget the basics of SEO 101? Things that we stress are important for businesses are omitted by the big guys!